If you’re anything like me, you can’t stand the way that fingerprints look on doors and handles. These stainless steel cleaning hacks are perfect for keeping the outside of your appliances smudge and fingerprint free with ease. I always remember to clean inside of my appliances, but cleaning on the outside? It’s something I tend to constantly overlook. 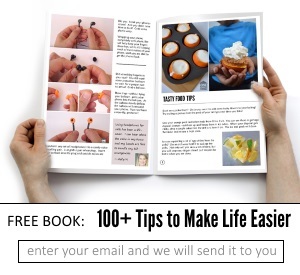 Maybe it’s because I didn’t know a lot of these hacks and tips before now…or maybe I’m just a bit lazy…the verdict is still out on that one. If you’re wanting to clean up the outside and the inside of your kitchen appliances, you’ll love these cleaning tips and hacks! Never dread cleaning the outside of your appliances again. 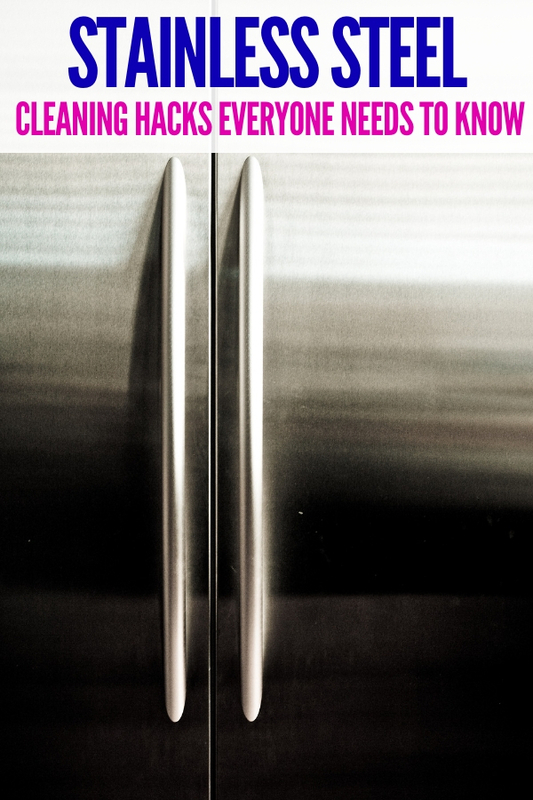 These stainless steel cleaning hacks are simple and easy to do! You use your dishwasher to clean the dishes, but how does the outside look? Probably full of smudges, fingerprints and hard water stains! Remove stains from a dishwasher using baking soda, vinegar, lemon juice, olive oil, and a little elbow grease. In fact, olive oil works like a charm for keeping stainless steel appliances smudge free. Rub it into the stainless steel with the grain using a soft cloth, and then use a clean cloth to buff it after application. Have a bunch of coconut oil on hand? That works just fine, too! A tiny bit of coconut oil goes a long way! And the good news? It’s super simple to apply. Just rub it into your appliance until it’s no longer greasy. Of course, stainless steel wipes are a no-brainer. They’re made for the job, after all. You may find that you get better results following these wipes up with a bit of buffing with a microfiber cloth. And please keep in mind that some brands are better than others. A little bit of trial and error and you’ll find the perfect one. WD-40 is another miracle worker around the house. Clean stubborn stains out of your stainless steel sink by giving it a good spritz of WD-40 followed by a scouring pad. The WD-40 also helps protect it against future smudges and stains. Just make certain that you make it down thoroughly after using it! Make that sink shine (if you can ever get all the dirty dishes cleared out) using something you definitely have in your pantry: flour! Buff flour into a clean sink and just watch how shiny it gets! This cleaning hack is actually pretty fun! Don’t forget about the power of Pledge! Pledge works great on removing sticker residue from stainless steel. It’ll also remove fingerprints and smudges, too. This is a blessing to parents out there that have been dealing with those stickers on appliances and stainless steel for far too long! 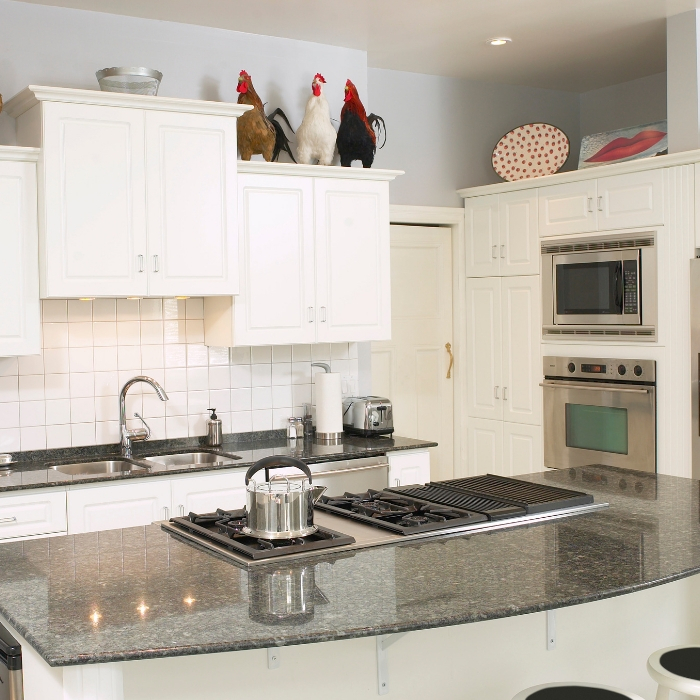 When it comes to making your stainless steel appliances shine, these cleaning tips and hacks can make them look brand new! Give them a try and see how much shinier they look almost immediately! Do you have any stainless steel cleaning hacks to share?